PlayerUnknown or PUBG prices are one of the most in demand items for PC, Xbox One and PS4 gamers right now. It's already sold fifty million copies since launching in March 2017 on PC and that number swelled even more with the later Xbox One release. And with a PS4 version entering the fray now too, that number is set to sky rocket again. As for PC gamers though, contrary to popular belief, you don't have to buy all your Steam games direct from the Steam store as you'll see via our price comparison below. Is PUBG available on PS4 and Xbox One? Microsoft temporarily snagged PlayerUnknown's Battlgrounds as a console exclusive and it's out now. However, Bluepoint finally released the game on PS4 too in December 2018 - one year after the Xbox One release. That's as we expected, given that's generally how long Microsoft's past timed exclusives have lasted as we saw with Rise of the Tomb Raider. It will be a bit more expensive on PS4 for a while given how new it is to the platform, so if you have an Xbox One or PC you could save even more money there. There are discounts and bargains to be had by shopping around, and it doesn't matter where you are in the world, we'll look through reliable retailers to bring you the lowest possible price for your new PlayerUnknown's Battlegrounds key on PC. We've also found a selection of the best PUBG Xbox One and PS4 prices too.. But, what is PlayerUnknown's Battlegrounds? PlayerUnknown's Battlgrounds, came out of nowhere earlier in 2017 and has been a fixture in Steam's chart ever since. It's what's known as a last-man-standing shooter set on a huge 8x8KM island. Think of it as a deathmatch where everyone only gets one life - no respawns. Players must search for weapons scattered around the map, or steal them from defeated players all while desperately trying to avoid getting spotted themselves. If you've watched Battle Royale, you're on the right track, albeit with more wide open spaces and fewer murderous high schoolers. This survival shooter is currently has finally finished its Early Access stage and is now a fully-released game. That being said, new content is constantly being developed for it. 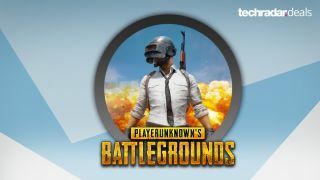 What are the system requirements for PlayerUnknown's Battlegrounds? These are the official minimum specs required to get PUBG running on your laptop or PC.